Updated version, and now in 8x8 format which consists of 24 selected photos, with the 30+ 'Outtake shots' now included. Content and Layout redesigned. 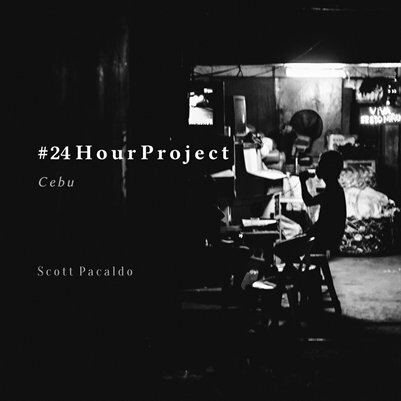 A photo book edition of my selected photos for the official #24HourProject Cebu Edition. This showcases the streets of Cebu, and a glimpse of the daily Cebu life through photos. About the project: A street photography project to document the human condition of multiple cities during one single day. By creators Renzo Grande @aliveinnyc and Sam Smotherman @whittiersam The 2014 edition of the #24HourProject was on Saturday 22nd of March. 900 street photographers in 312 cities from 72 countries on 6 continents sharing one photo per hour during a 24 hour day capturing the essence, complexity and the condition of humanity worldwide. NOTE: In the Preview or Read now option, it may appear as pixelated since Magcloud scaled it down for preview and sampling purposes only. Print and Digital version are in High-resolution.